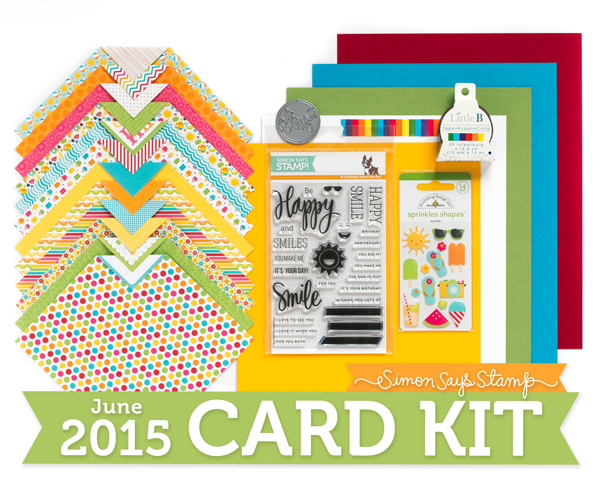 Today it's the day Simon Says Stamp reveal their new card kit - and the June kit is a fun one. 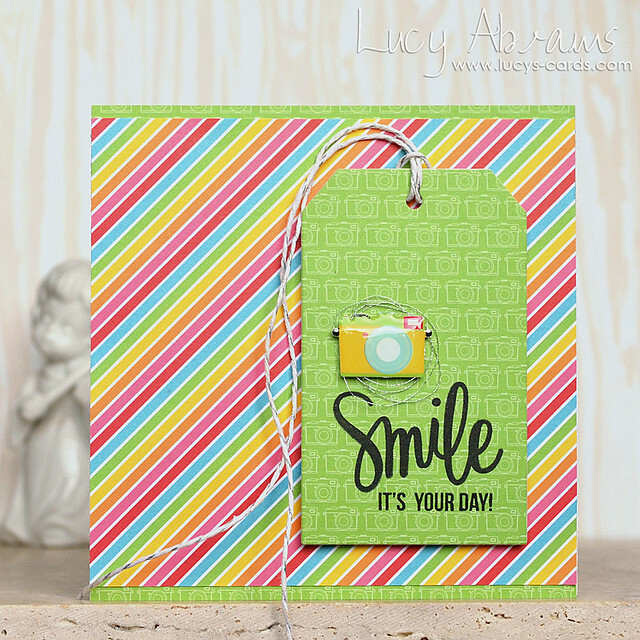 It's full of super bright Doodlebug papers and stickers, a fab and very versatile stamp set that is definitely a new favourite, a fun die and washi tape. Love it! Today I have a card made almost entirely with items from the kit. The only things I added were the Tag Die, and some Lawn Fawn sparkle cord. Here's a look at the kit in full - so much colour…. yum. Very fun, and cheerful!! Your card sure made me smile! Yes, this does look like fun! Can't wait to get my kit. 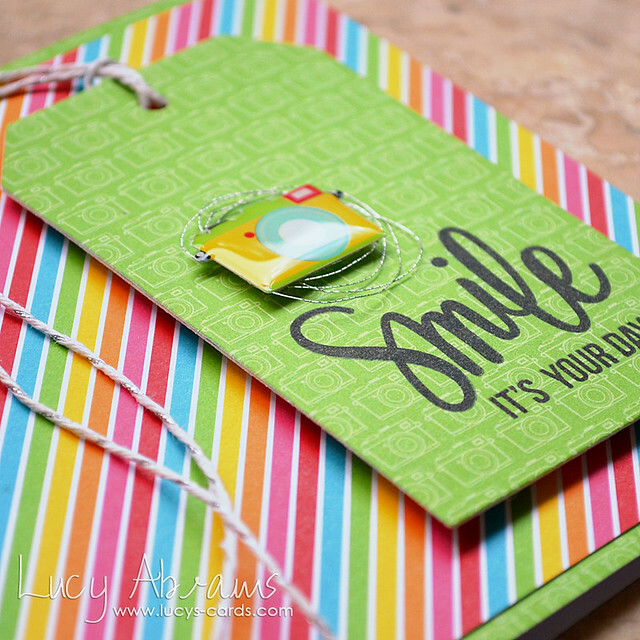 So bright, cheery and fun colors. I loved your card.